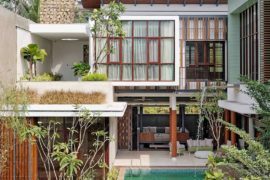 The idea of creating multiple independent homes on the same lot is something that is catching on across the globe. 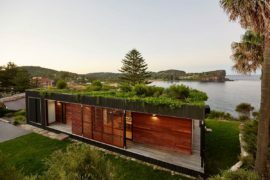 It puts available space to better use and in big cities where every inch matters; this considerably reduces strain on resources. 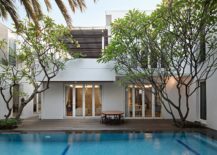 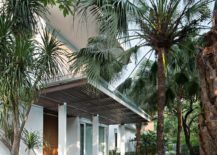 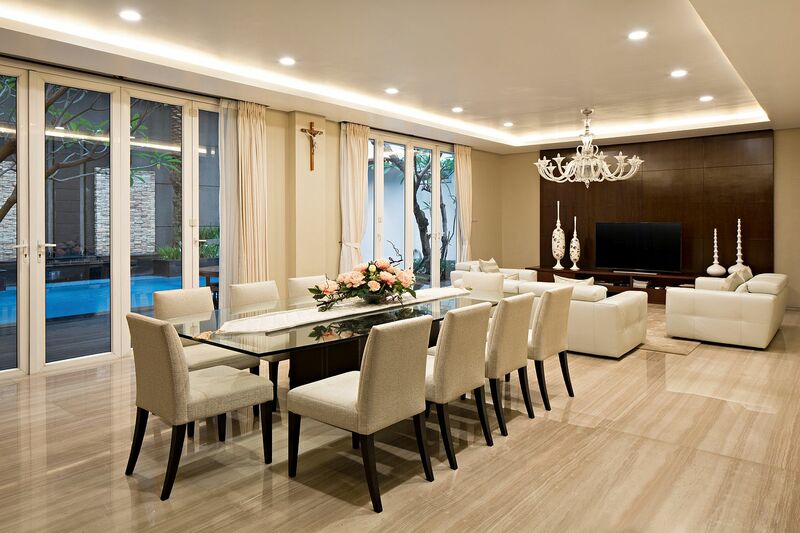 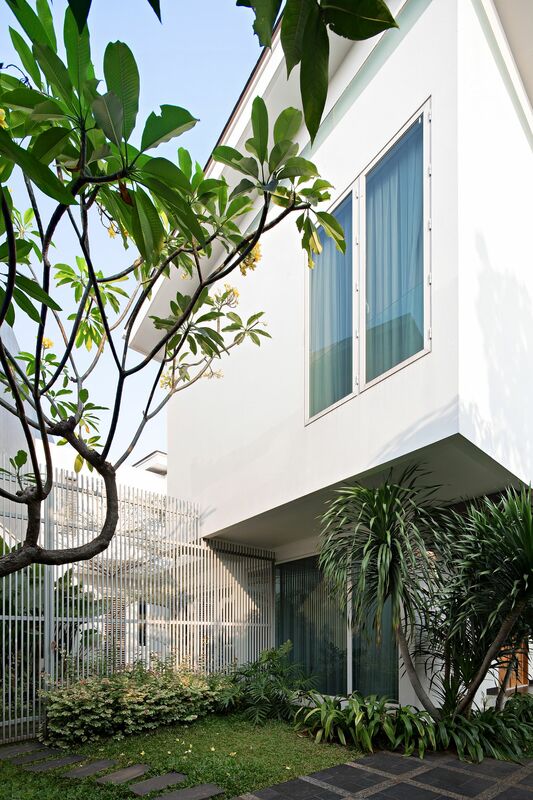 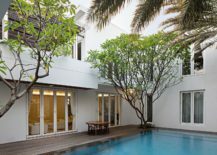 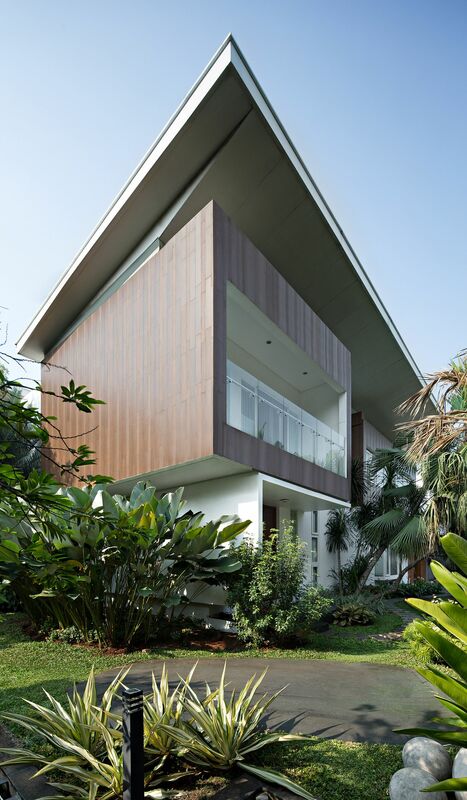 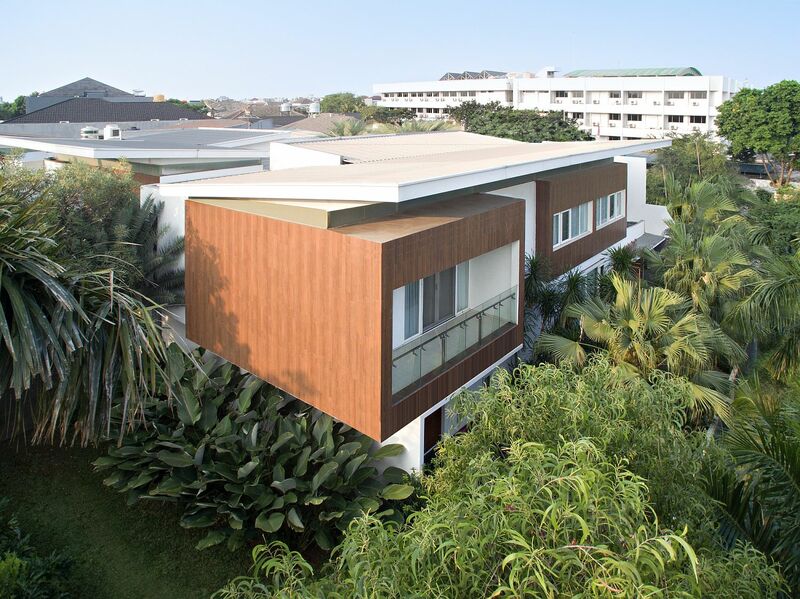 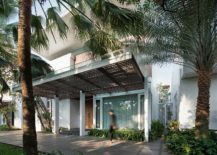 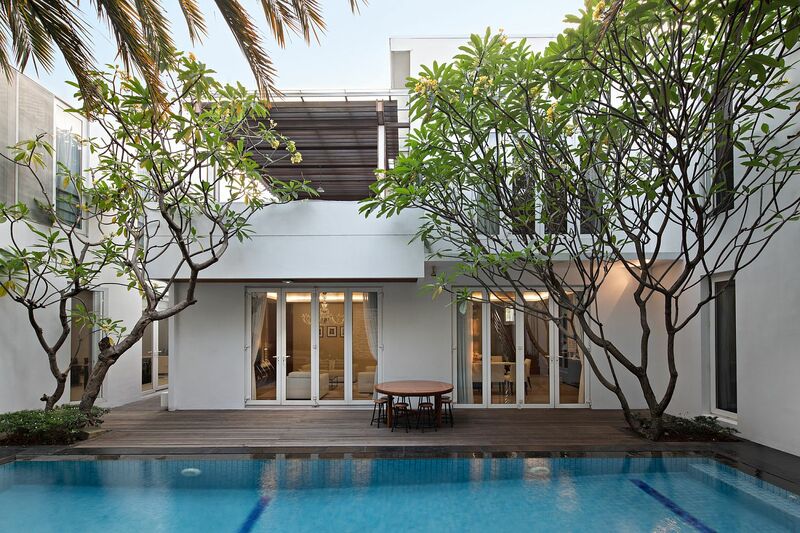 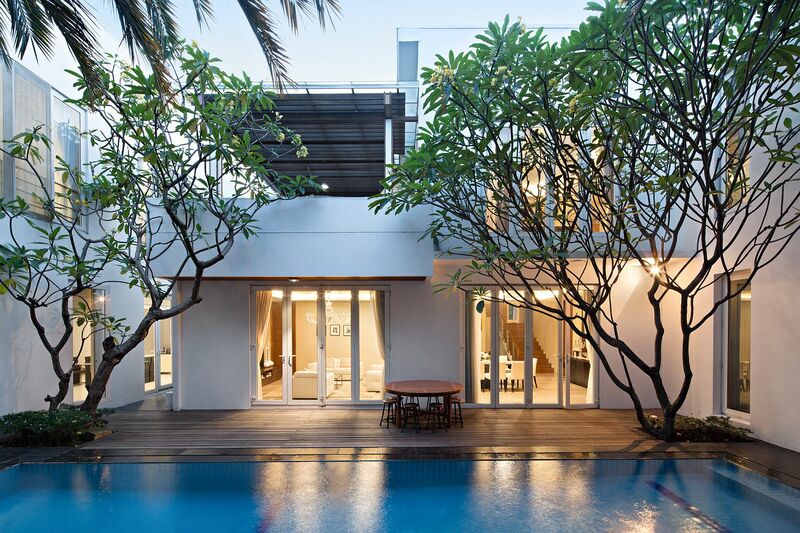 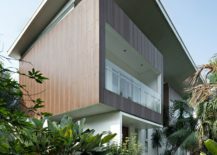 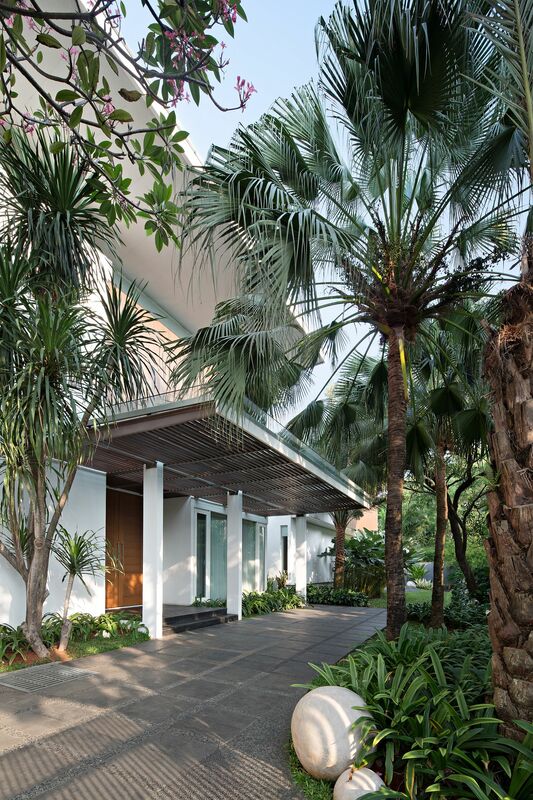 It is an idea that also brings friends and family closer and nestled in the busy, urban environment of northern Jakarta, the Ancol Residence designed by PT. 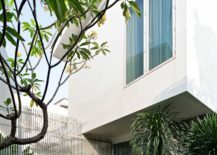 ANARTA KREASINDO holds two independent houses on a lush green lot that feels like a lovely little oasis surrounded by the urban hustle and bustle. 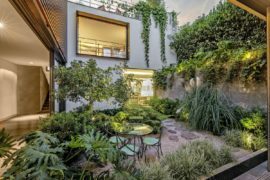 It is the layer of green around the homes that makes them even more special while creating a relaxing living environment. 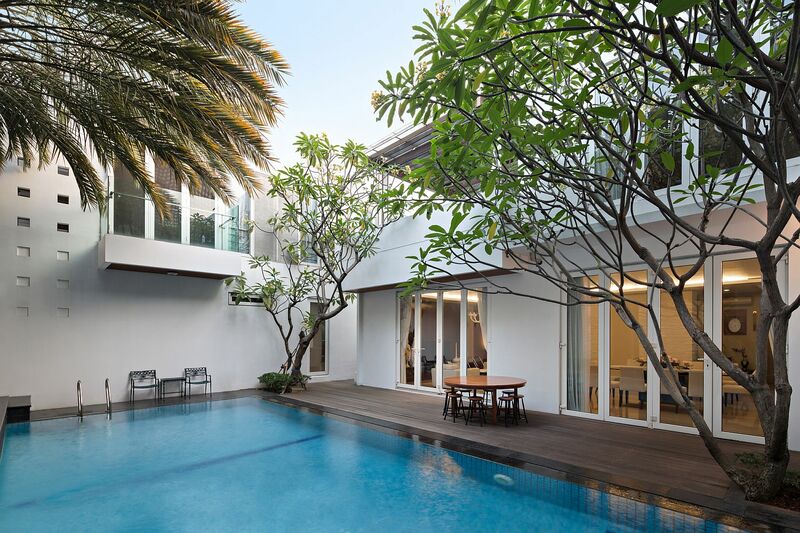 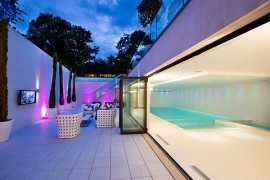 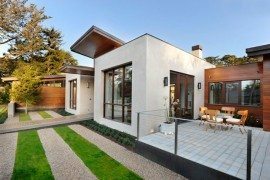 It is a central common courtyard and a shared swimming pool that connect both the houses even as the rest of the design plan is slightly varied to meet the specific demands of both the homeowners. 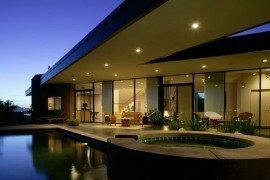 The living room of both the houses on the lower level is slightly different from the other while the upper levels consist of three bedrooms. 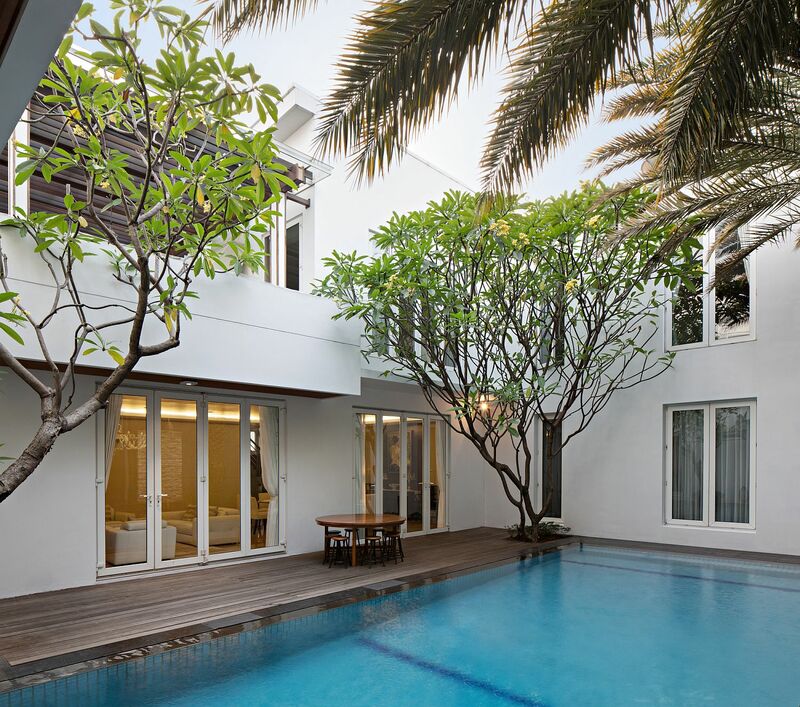 A smart indoor-outdoor interplay creates a cheerful living environment with easy accessibility to the common inner courtyard. 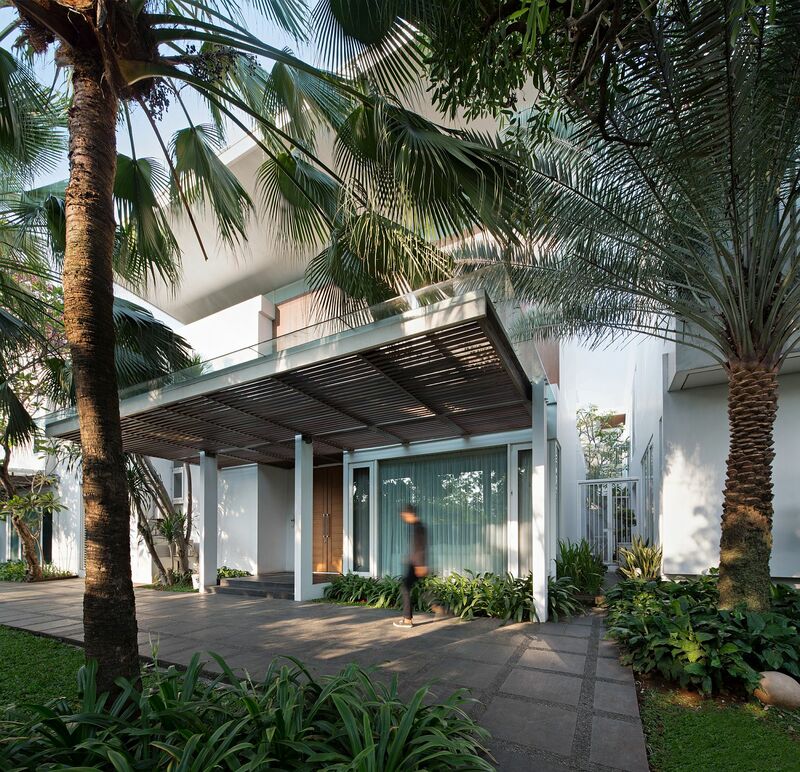 RELATED: Ingenious Green Lantern Residence Charms With Trendy Green Goodness!